Summary (from Goodreads): By way of a staggering deception, Karou has taken control of the chimaera rebellion and is intent on steering its course away from dead-end vengeance. The future rests on her, if there can even be a future for the chimaera in war-ravaged Eretz. My Thoughts: This was one of those rare conclusions to a beloved series that answered all my questions and made me fall in love with the story all over again. There was substantial character growth, and the introduction of a new character that added a great element to the story. It was a beautiful, emotion-packed conclusion to a series that I've loved from the very beginning. Laini Taylor is a master of all things literary; her sentences feel like music and her language is incredible. I felt as if I was reading prose and every word had been so deliberately chosen - needless to say, if I had three wishes the first thing I'd wish for is talent like Laini Taylor's. 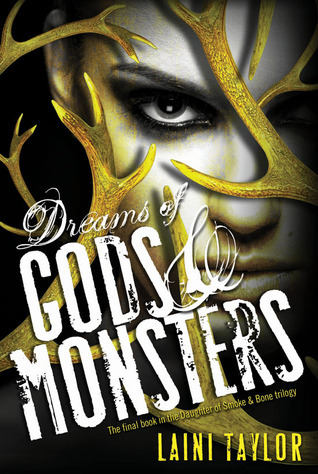 I definitely recommend this series to anyone who enjoys paranormal and fantasy novels, as well as romance with a darker undertone. Summary (from Goodreads): Georgie McCool knows her marriage is in trouble. That it’s been in trouble for a long time. She still loves her husband, Neal, and Neal still loves her, deeply — but that almost seems besides the point now. I had no idea what to expect when I cracked open my copy of Landline, but I knew that whatever it was, I'd enjoy it. Rainbow Rowell truly has a gift: everything she writes is pure magic. 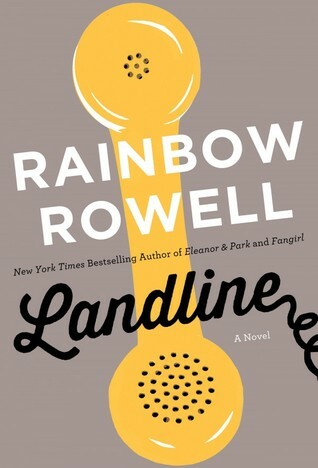 Landline is so artfully constructed that I managed to read close to a hundred pages before I realized I was absorbed. The writing itself was perfect - clear, easy to follow, and with the honest voice that we've come to expect from the author. I adored every minute of this book - even the ones spent teary-eyed. If you're looking for a wonderful summer read, pick up a copy of Landline. I promise you will not regret it. Summary (from Goodreads): The dark secret Kayden has kept hidden for years is out. Worse, he's facing charges for battery. The only way he stands a chance against the charges is if Callie speaks up, something he'll never ask her to do. My Summary: Callie and Kayden have learned a lot about themselves and each other over the past few months. They've learned each other's secrets and how to deal with their feelings for one another, but they still haven't dealt with their issues. Each would rather fight the other person's demons than confront their own, and it's causing problems that neither one could have anticipated. Can they deal with their respective pasts and work towards healing, or are they doomed to repeat the past? My Thoughts: This series was a roller coaster ride of emotions packed into a few hundred pages. Callie and Kayden are the kinds of characters you can't help but root for, and even when things get tough you hope they'll be able to hold on to each other. The writing flowed smoothly and the pacing was done well - I never felt like anything was rushed or that scenes dragged on. I was so glad that Callie and Kayden both decided to try to work on their own issues as well as help each other, and I was very satisfied with the way things ended. I can't wait until September to read the next Callie & Kayden! Final Thoughts: I recommend this series to anyone who enjoys edgier contemporary lit as well as new adult romance. Summary (from Goodreads): With time dwindling but her will to end the Prophecy stronger than ever, Lia sets out on a journey to find the remaining keys, locate the missing pages of the Prophecy, and convince her sister Alice to help--or risk her life trying. Lia has her beloved Dimitri by her side, but Alice has James, the man who once loved her sister--and maybe still does. James doesn't know the truth about either sister, or the prophecy that divides them. And Alice intends to keep it that way. My Summary: As the end approaches, Lia must rush to gather the remaining pieces required for the ceremony to close the Gate. But that's not all. As she struggles to maintain the tense alliance with the others, Lia must also fight off the Souls that threaten to trap her in the Void forever. All this as Lia tries to convince her twin Alice to stop doing the Souls' bidding. And if she fails, it may cost not only her own life but those of everyone around her. My Thoughts: This series has been one of my favourites for years, and I knew before I started that this final installment would not disappoint. Zink's beautiful writing flows wonderfully, hooking you from start to finish. 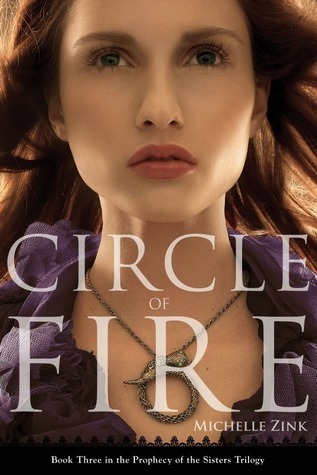 I've adored the perfect blend of historical fiction and the paranormal since the beginning, and Circle of Fire showcases the author's immense talent in blending the two. The reader is immediately pulled into Lia's world and feels her struggling to stay in control. You can feel how much the frenzied, rushed search is taking its toll on Lia, and the suspense keeps you glued to the pages until the very end. This was an amazing conclusion to an amazing trilogy, and I've enjoyed every moment. Final Thoughts: I recommend this series to readers who enjoy historical fiction with paranormal elements - fans of Cassandra Clare's The Infernal Devices trilogy will definitely enjoy it! Summary (from Goodreads): Devin doesn't remember life before the world got hot; he has grown up farming the scorched earth with his grandfather in their remote valley. When his grandfather dies, Devin heads for the city. Once there, among the stark glass buildings, he finds scores of children, just like him, living alone on the streets. They tell him rumors of a place for abandoned children, with unlimited food and toys and the hope of finding a new family. But only the luckiest get there. An act of kindness earns Devin an invitation to the home, but it s soon clear that it s no paradise. As Devin investigates the intimidating administrator and the zombie-like sickness that afflicts some children, he discovers the home's horrific true mission. My Summary: Devin has grown up hearing stories about the world from his grandfather, who tells him about the days before the Earth got hot and things began to go wrong. Living alone with his grandfather on a secluded farm, Devin has seen little of the horrors of his grandfather's stories. Then Devin's grandfather dies, and Devin can't keep up with the demands of the farm. He sets out for the city, hoping to find someone to bring back to the farm to help him. 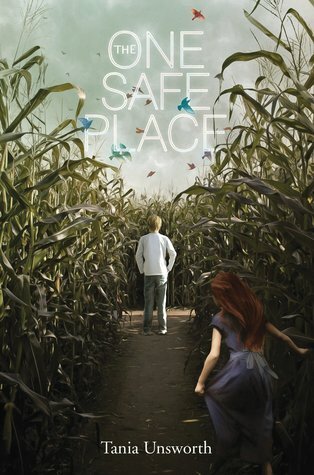 But Devin's search for help leads him farther away from the home he loves, and closer to a mysterious house for children where nothing is what it seems. 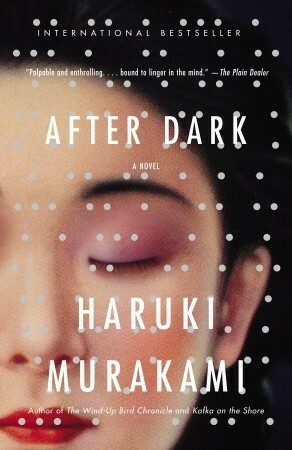 My Thoughts: This novel was one that I think will appeal to a wide range of people. It's marketed as middle grade, but I think that younger readers can definitely relate and older readers will be unable to put it down. I myself found it impossible to stop reading until the very last page and ended up finishing it all in one sitting. The mystery element was intriguing, and the writing itself was lovely. The author did a terrific job with the imagery, painting Devin's world clearly inside my mind. I also thought the characters were very relatable and realistic, and I found myself rooting for Devin as he tried to make his way in a world that didn't seem to offer any sanctuary. Final Thoughts: I recommend this novel to anyone looking for a great dystopian read that will appeal to those who like enjoy children's, middle grade, and young adult novels. Summary (from Goodreads): To Bee or not to Bee? 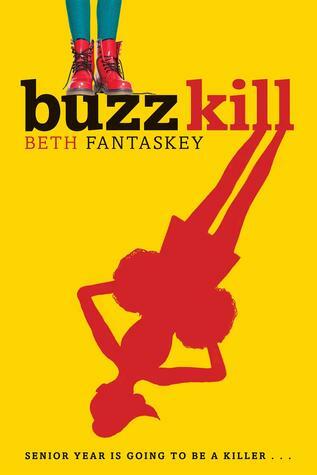 When the widely disliked Honeywell Stingers football coach is found murdered, 17-year-old Millie is determined to investigate. She is chasing a lead for the school newspaper - and looking to clear her father, the assistant coach, and prime suspect. Millie joins forces with her mysterious classmate Chase who seems to want to help her even while covering up secrets of his own. Drama-and bodies-pile up around Millie and she chases clues, snuggles Baxter the so-ugly-he's-adorable basset hound, and storms out of the world's most awkward school dance/memorial mash-up. At least she gets to eat a lot of pie. My Summary: When Millie interviews the school janitor about the cracks in the bleachers, the last thing she expects is to uncover a story of epic proportions: Hollerin' Hank - the school football coach known for his temper - is found dead under the bleachers after a week of not showing up to work. My Thoughts: This book was laugh-out-loud funny! I had a great time reading and getting to know Millie, who was an extremely quirky and lovable main character. I also loved the references to Nancy Drew, and thought the mystery element was very well-done. All in all, a hilarious yet touching summer read that'll keep you hooked! Final Thoughts: I definitely recommend this novel to anyone who enjoys a good mystery novel with some humour thrown into the mix.